When I agreed to try to save The Fragrance Foundation back in the late 50s, it wasn’t for money. There was none. Nevertheless, as a lifelong fragrance devotee, I was intrigued by the challenge and plunged headlong into a sea brimming with possibilities. 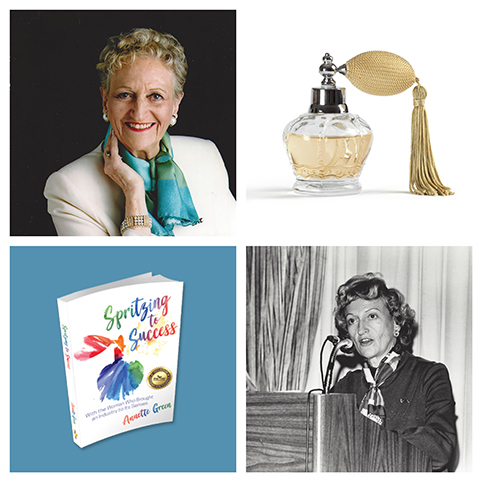 As I wrote in my recently-published book, “Spritzing to Success,” The Fragrance Foundation, born in 1949 to become the voice of the American fragrance industry, was about to be shuttered. At the time it represented a small number of French perfume companies and the US market added up to little more than $500,000 annually. (Today it is a $4 billion dollar PLUS industry in the US). The basic problem was that American women did not wear fragrance – except on special occasions. In fact, it was considered the ultimate luxury to be given to a woman by a man. To get started, , the first thing I saw as a necessity, was for the industry move away from identifying all scents as “perfume” rather than “fragrance” to include — colognes, toilet waters and bath products at more reasonable prices. 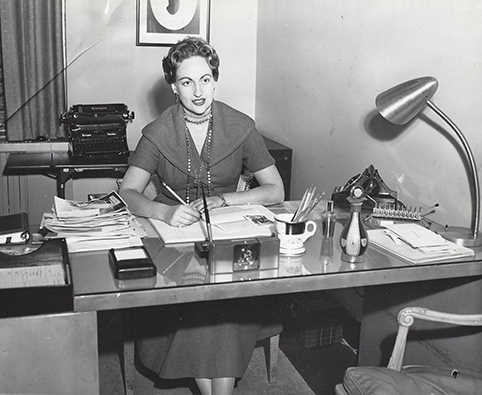 Next, I introduced the concept of a “wardrobe of fragrance” to allow women, who were beginning to enter the workforce, to select scents which were appropriate for the occasion, the season and an individual’s mood. It only took me ten years to convince the market and the consumer this was the path to the future. Along the way, I met the most wonderful and creative supporters and co-conspirators — brilliant package designers, highly skilled fragrance manufacturers, scientists who understood the impact of fragrance on our lives, retailers who would feature the promotions we developed and even educators to teach the next generation of executives how to market and produce fragrances. Along with my co-conspirators, we launched the Fifi Awards to honor the best in fragrance; the Bachelor’s Degree Program in fragrance and beauty marketing at the Fashion Institute of Technology in New York and the Annette Green Perfume Museum at the Fashion Institute of Design and Merchandising in Los Angeles. We launched the Scents of Time Museum Exhibit which opened at the Museum of the City of New York before touring the country and advanced the science behind fragrance with the Sense of Smell Institute. As I began to assemble years of documentation including letters, photographs, tributes, books, videos and articles written by me and others, “Spritzing to Success” began to take shape in my mind. I realized the impact of my years at the helm of The Fragrance Foundation. By taking advantage of a wave of social change, I had opened a world of opportunities to women, students, scientists, futurists and sensory psychologists. The role of the sense of smell took on international importance and gave new meaning to fragrance as a mood modifier and positive influence in people’s lives. Bottom line, I am both a pragmatist and a dreamer committed to being responsible to and for myself, those I love, my work and the community at large. I accept the reality of change, surprises (good and bad) and my current state as a nonagenarian. It propels me to increase my involvement with life each and every day. Annette Green, the author of Spritzing to Success with the Woman Who Brought an Industry to its Senses, shares her insights on what it takes to do the impossible. She’s 94, works out three days a week at the gym, lectures, still drives, is on several boards, and still practices what she preaches. She’s considered by many to be the “High Priestess” of the fragrance industry. Spritzing to Success with the Woman Who Brought an Industry to its Senses by Annette Green © 2018. Published by Dog Ear Publishing. Paperback. Have You Seen the Latest Issue of Healthy Aging® Magazine? The Case Against Retirement (That Has Nothing to Do With Finances) Benefits of Going Vegetarian Calling All Chowder Hounds! Not Ready to Retire? You’re not Alone!